Flash suppressor quickly disperses the burning gases emitted from the barrel and limits the amount of flash seen by the shooter. 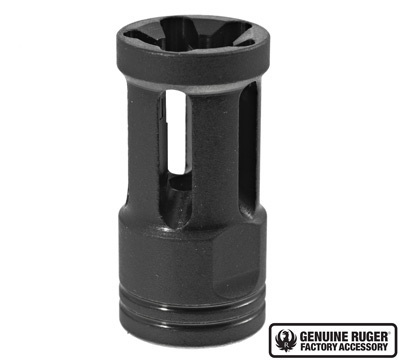 Machined from steel for superior fitment and durability while providing your firearm with a classic, custom look. Blued finish. 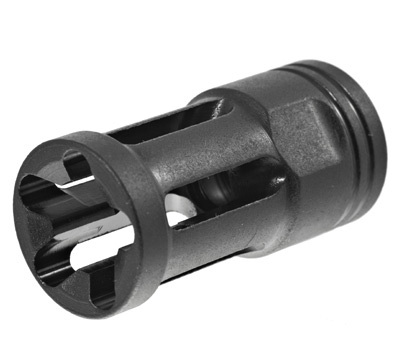 Fits barrels with 1/2-28 thread chambered in 5.56 NATO and .223 Rem. 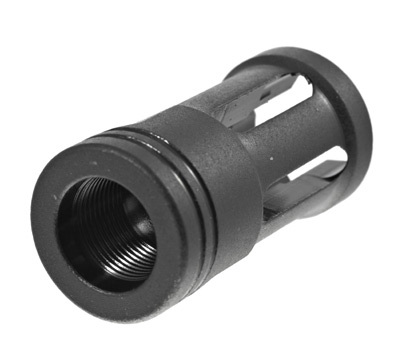 DOES NOT fit the 9mm PC Carbine™ or other firearms chambered in 9mm, .308 or 7.62x39. Perfect fit, perfect match and a perfect look for the Ruger Precision Rimfire. I wasnt sure if it would match the diameter of the barrel, so I contacted Ruger, and had a response in the affirmative within one day. Looks great!! Great addition to 10/22 takedown. Great quality and look. Ruge r is USA.. Perfect size for the Ruger Charger. Bought one each of the blue and stainless for my Ruger Chargers. The matte blue finish looks great with the matte blue Charger receiver and trigger assembly. 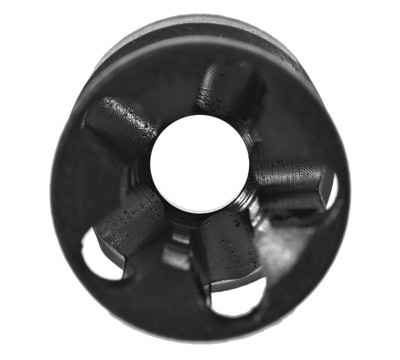 Excellent quality fit and finish also no crush washer required.